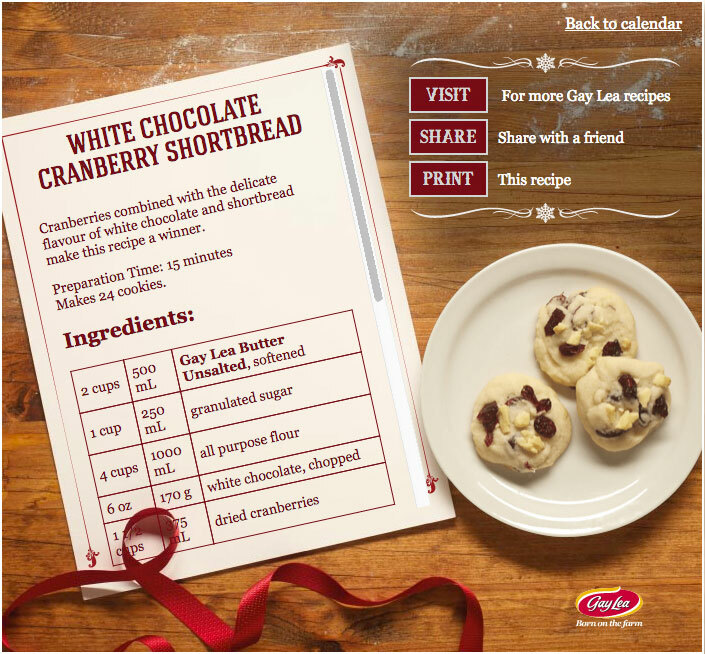 The success of Nordicows led Agency59 to pitch another Facebook contest for Gay Lea Foods Co-operative Limited for Christmas 2015. 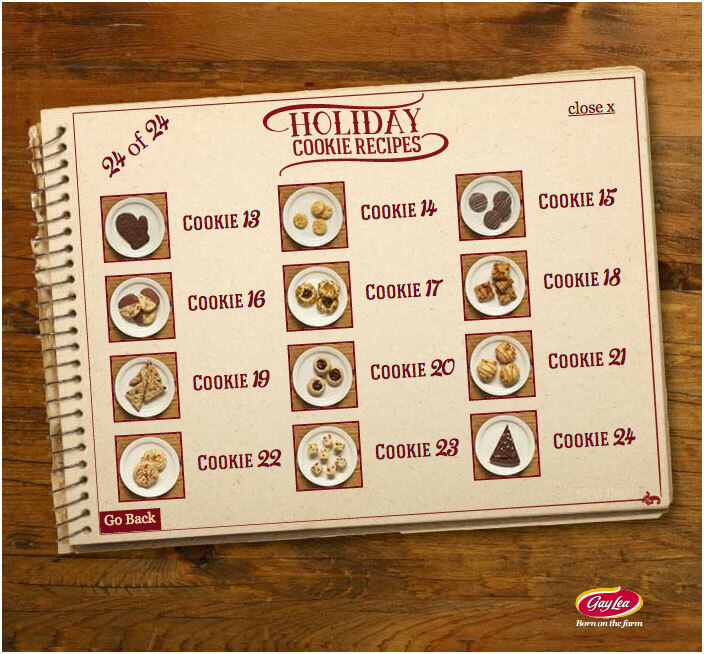 It would be an online advent calender where users would sign in everyday to recieve virtual cookies, recipes, and a chance to win real-life cookies. Oddly was on deck to help every step of the way. Oddly and Agency59 worked together to determine the user flow and integration points with Facebook. Being involved early in the project made choosing technologies and frameworks easier for us and contributed to the quick build time. Like with Nordicows, Oddly handled all frontend, backend, and server setup for this contest. We went from no code written to launch in less then 5 weeks using Angular, Node.js, Firebase, and Webpack. 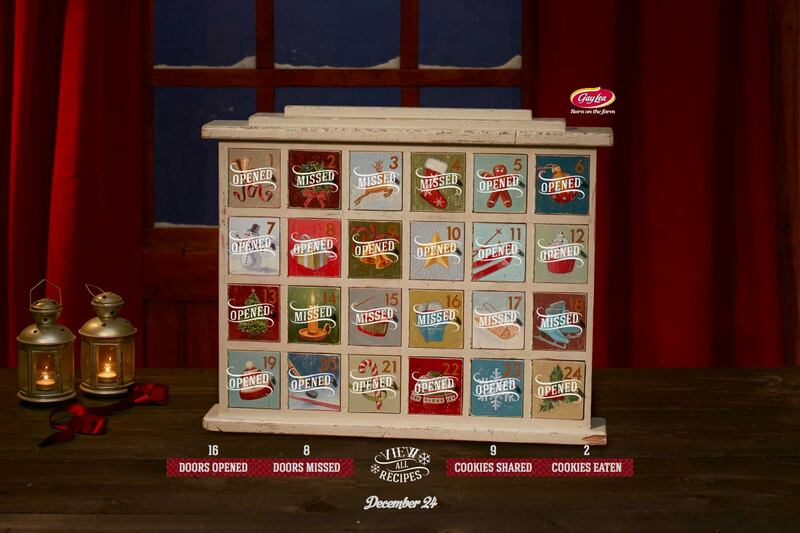 A key aesthetic sought after was to have the doors of the calendar to open as if they were in a classic stop-motion animated Christmas cartoon. Oddly made it happen with spritesheets, CSS animations, and Angular. We launched the app on Amazon Webservices EC2 and Firebase, and monitored performance and error rates with New Relic and Sentry. The 24 days zoomed by with zero downtime. We launched on time and on budget, thousands of players came back to play multiple times, and dozens of cookies were awarded.